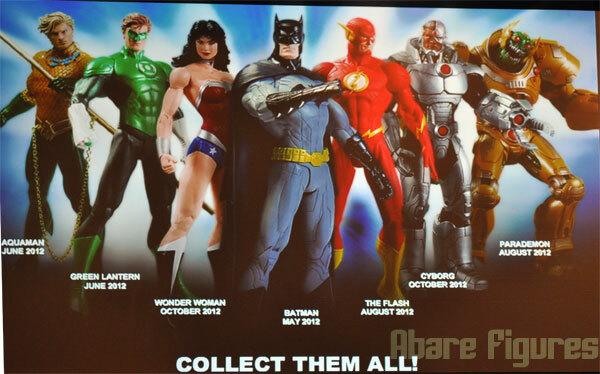 The New 52 line of Action Figures from DC Collectibles isn’t new news, but the Parademon figure is. 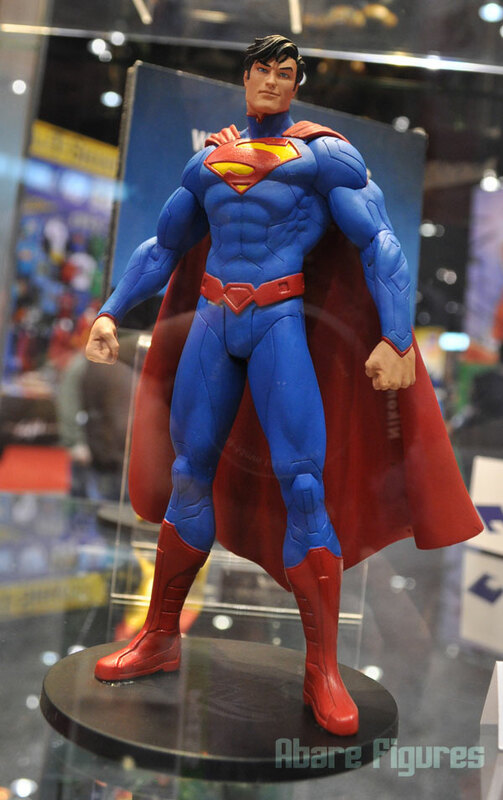 The Justice League villain wasn’t the only news coming out of the DC Collectibles panel though. 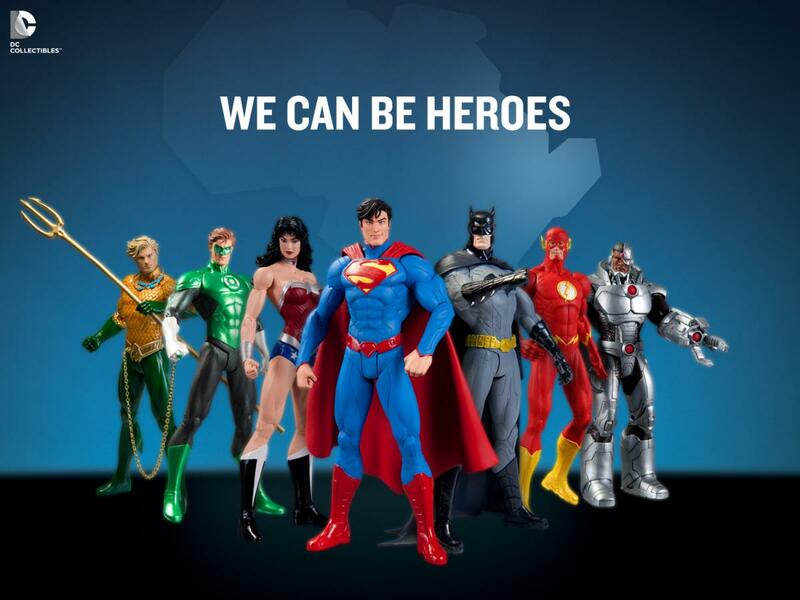 The Justice League will be helping out DC’s We Can Be Heroes program to help fight hunger in the horn of Africa in the form of a limited box set. This will be the earliest way to get your hands on the fabulous new Superman figure, so if you just have to have it first then you’ll want to keep your eyes on the We Can Be Heroes store. Some more potential good news Geoff Johns highlighted was DC Collectible’s concentration on what they called “evergreen” products. They want to keep some of their more popular products in production so fans can get them without paying a premium in the secondary market. 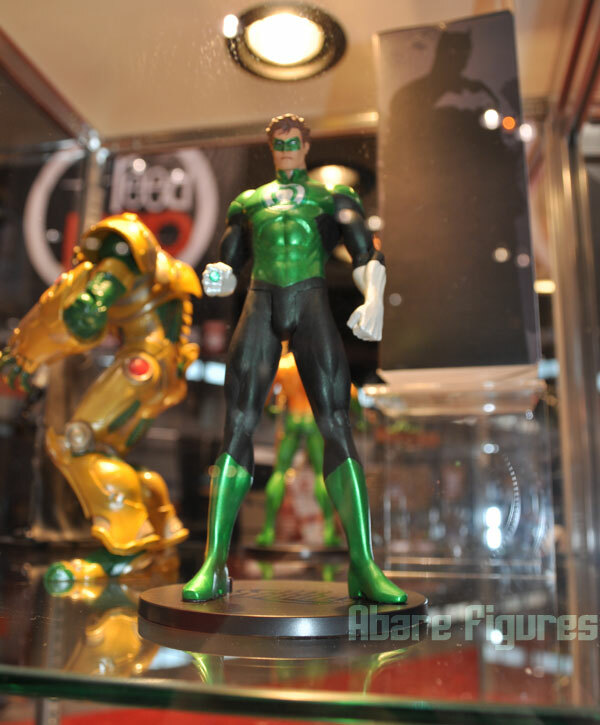 The only example given for this program was the Green Lantern lantern, but when asked it was mentioned that core figures might be considered for the program as well so DC Collectibles could concentrate on more secondary characters. Suggestions for characters panel goers were interested in seeing were taken and lots of great names came up including Talia Al Ghul, Catwoman, Swamp Thing, Batwoman, and statues based on DC Nation’s Super Best Friends Forever shorts. There were a lot of mentions of past releases in busts and from Mattel’s DC Universe line, but the availiability and desire for action figures of certain characters over more Hal Jordans was definitely a popular subject during the Q&A session. Speaking of availability, also mentioned was the high price Wonder Woman action figures command on the secondary market. Here’s hoping they’ll add something into their “evergreen” line for those fans who have trouble getting figures of their favourite iconic characters. 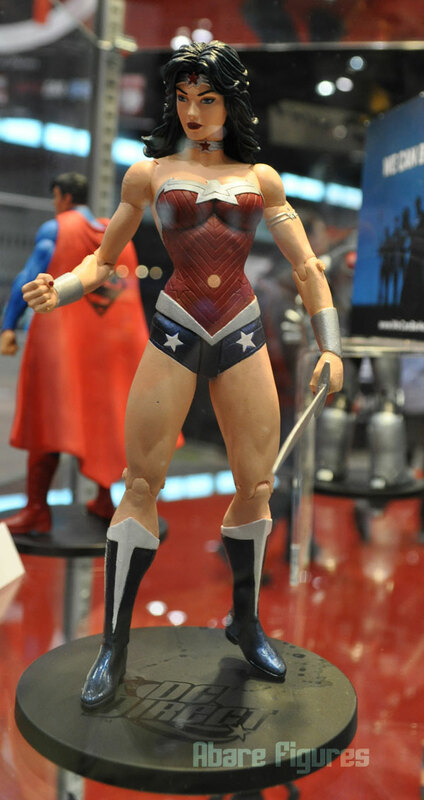 It would be really nice to see a re-release of the older Terry Dodson Wonder Woman figure who is now three times her original asking price, though DC Chief Creative Officer Geoff Johns reiterated that their focus right now will be on the New 52 and its designs. Bad news for fans of skirted Wonder Woman and Supergirl. 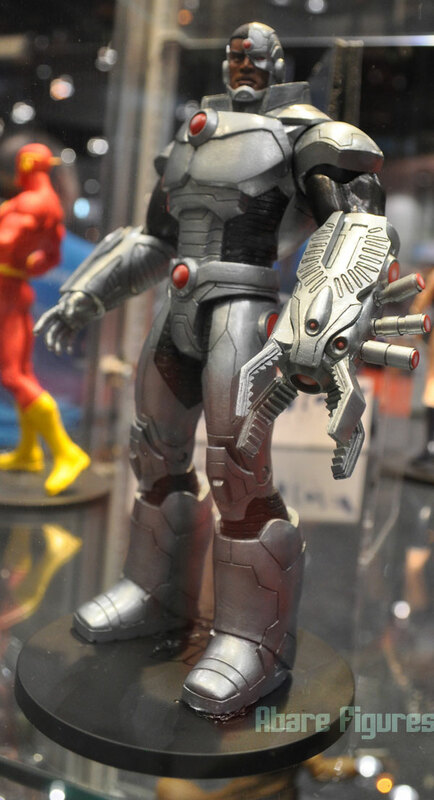 It seems that Cyborg and his “boom tube” powers will be a focus in the Justice League and related products for a while. As a longtime Teen Titans fan I have to be happy about that, though my thoughts on the Jim Lee redesign are mixed. 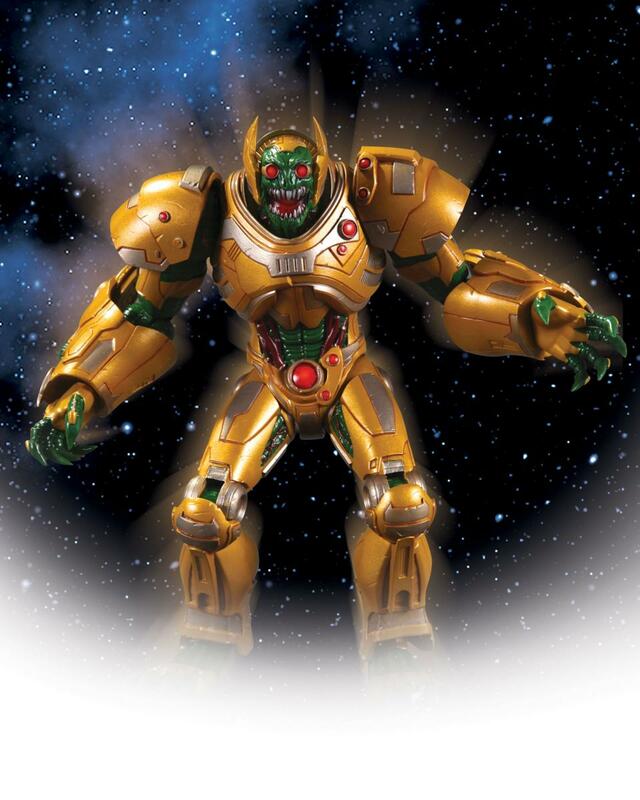 Parademon was a surprise new figure that hasn’t made it into solicits in Previews yet. Seems to me as though he was designed with an action figure in mind, as many of his joints are well disguised by armor. 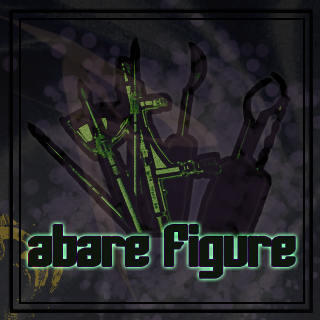 Should make for a nice quality figure. 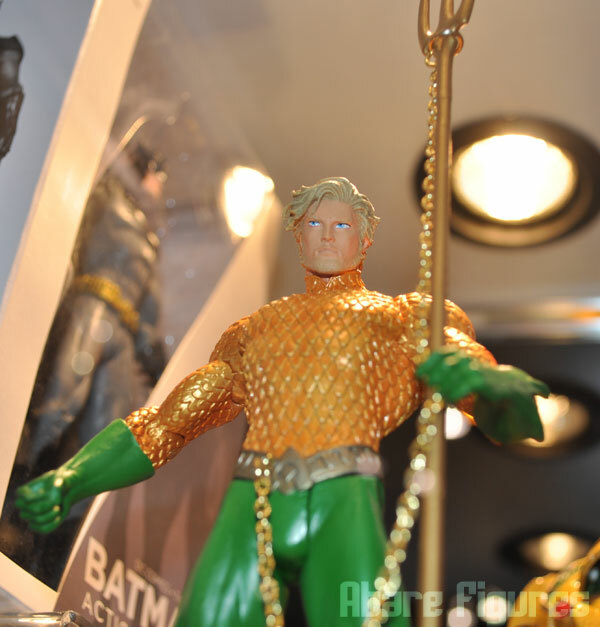 My personal New 52 favourite Aquaman was on hand in prototype form. The necklace that is pictured in preorder solicits was missing from the prototype but was still in the We Can Be Heroes boxset ad. 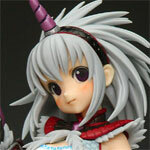 Not sure if it will be included or not, though obviously it is removable. Happy to see the facial hair making an appearance in the figure. Lots of little details to set this one apart from other Aquaman action figures available. Let’s hope a new Mera will be on her way too in future waves. Geoff Johns was certainly showing his support for the top 10 book by wearing an Aquaman hat all weekend.